I’ve often blogged about the work of Katryna Tan: to browse it, see the related posts at the end of this article. Katryna grew up a solitary harpist, travelling for six hours each way from Malaysia, to take lessons in Singapore. 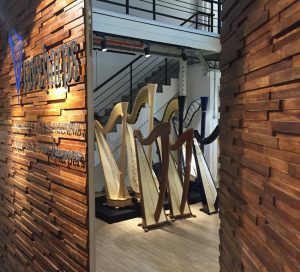 After harp studies in Michigan USA, Katryna returned to Singapore and has since developed, indeed created, an entire harp scene there. Her studio Rave Harps now boasts an esteemed professional faculty, splendid premises, and a busy programme of events and classes at home and abroad. 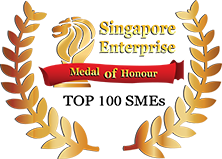 In 2017, Rave Harps won the top 100 Singapore SME Award for its innovative programmes and contributions to the music industry. 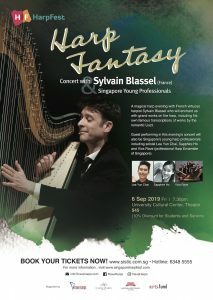 Katryna’s brilliant Harpfest Singapore is now preparing for none other than its sixth edition in just over a decade. Katryna has always composed, arranged and commissioned music (much of it for the Rave Harps ensemble), and 2019’s Harpfest focuses particularly on composition. 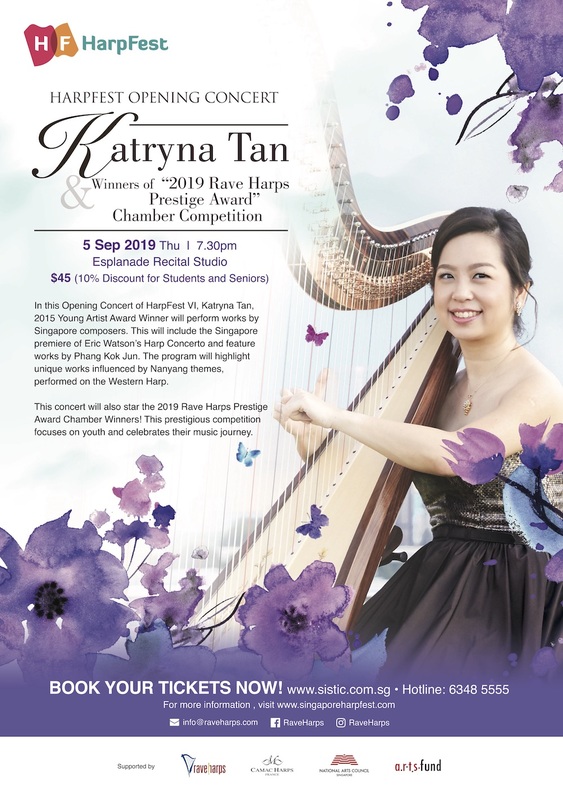 The opening concert on September 5th showcases works by Singapore composers: Katryna will perform two works by Phang Kok Jun, and give the world premier of a new harp concerto by Eric Watson. “This will be an interesting combination”, Katryna explains, “as it’s scored for Western orchestration, Chinese flute, and Sheng. 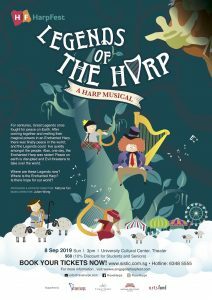 The sounds will be quite unique.” Julian Wong, another composer from Singapore, has written and directed this year’s harp musical (to find out more about that, keep reading). In class, young harpists will be shown how they too can write a melody: “this gives them more freedom with their music learning”, says Katryna. 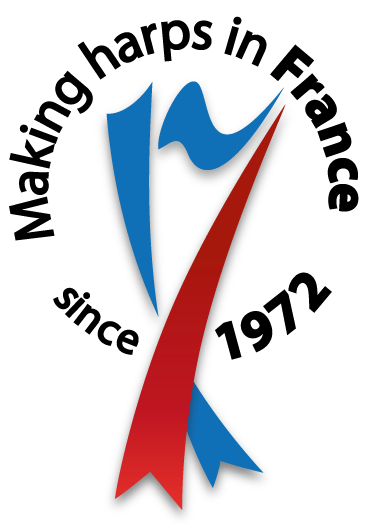 “Music is not always exclusively about works by, and according to the wishes of, others.” There is also a creative composition competition (deadline for applications: July 1st), and the winning work will be performed at Harpfest’s gala showcase on September 7th. Composition is not the only point of emphasis at Harpfest 2019. 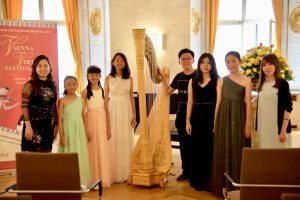 “Another thing I really want to do this year is celebrate young professional harpists from Singapore”, Katryna continues. “We have been building our community for over a decade now, and so now the young professionals are emerging. Some of them will share the stage with Sylvain Blassel, in recital on September 6th; our opening concert on the 5th will also feature the chamber music winners of the the 2019 Rave Harps Prestige Award. 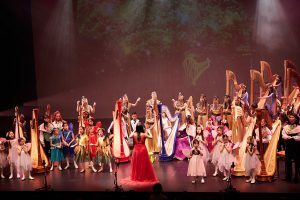 Harpfest Singapore would also not be complete without…the harp musical! 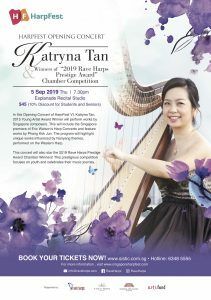 Katryna was the first teacher to conceive of and then actually put on a full-length harp opera, and the results have regularly delighted audiences ever since – during the finale of the Hong Kong World Harp Congress, for example. Composed and directed by Julian Wong, 2019’s musical is called “Legends of the Harp.” The plot is top secret – you’ll have to find out more, by getting yourself a ticket. 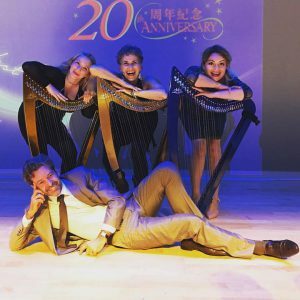 World Harp Congress, Hong Kong 2017 – grand finale!